Bollywood in Current times has numerous actors. The one thing is common in the film industry is chocolate heroes or lover boys. However, among all, there was one star who has not only considered chocolate hero, but also made a mark with as serious Roles. Yes, we are talking about none other than 90’s favourite chocolate hero, Chandrachur Singh. 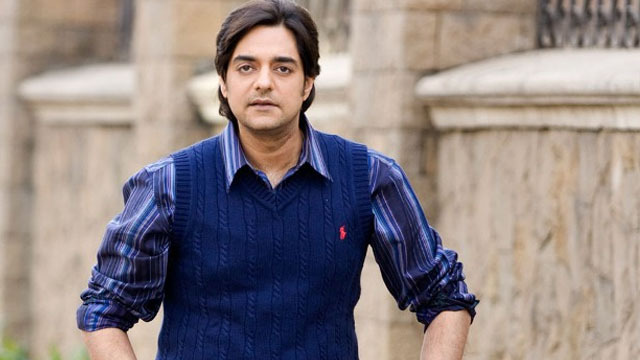 ChandrachurSingh has worked in many memorable films like Maachis, Tere Mere Sapne, Josh and so on. The 1996 Filmfare Award winner for Best Debut for Maachis, Now made his singing debut with song, "Rangreeza" in the film Yadvi-The dignified Princess, accompanying him is the Pawani Panday, "Laila Main Laila" song fame. He is playing a character of Maharaja Bhupinder Singh of Patiala. One of the Wealthiest and famous Maharaja of India, who was first to own an airplane in India, that also Write Brothers Model and donated Ranji Trophy for cricketers, which is still given to Cricketers till today. The Maharaja Is known for many contributions in history of India. Music Composed by Anuj Garg and panned by Nasir Faraz. The film now is set to release in Manhattan, New York and Beverly Hills, California. The film directed by New York Based Actress, Jyoti Singh with a script based on a real life story/Screenplay by Gauri Singh, her sister. The film will screen at the Music Hall Theater, Beverly Hills, CA May 25 to May 31 (5 times a day for 7 days) and at the Cinema Village, Manhattan, NY, June 1 to June 7 (4 times/day for 7 days). Chandrachur is very talented since childhood. Chandrachur is a trained classical singer and his passion is singing. Notably,before being casted for "Tere Mere Sapne" Amitabh Production, he was teaching Music in Doon school, Dehra Dun . Yadvi-The dignified Princess also stars Vibhu Raqhav, Rahul Godara, Nikkitasha Marwaha, Reshaa Sabharwal, Namya Saxena, Ketki Puri, Minnie Pandit, Kuvam Handa, Yadvi Handa, Aishwarya Singh, Bernadine Linus, Mariane Borgo (French actress), Dina Rosenmeir (Actress from Denmark), & Minnie Pandit.